We have all heard the expression “my home is my castle”, and as such people want to fill their beloved abodes with loved ones and personalities at dinner parties that add an additional warmth and jovial air. When we think of the “fun guy” at the dinner table he may be a jokester or the type that draws a round of chuckles by offering witty banter. But there is an unwanted pollutant with a similar sounding name that is anything but enlightening—the household fungi known commonly as black mold. This fungi is responsible for harming a home’s re-sale value but more so it is to blame for millions of illnesses a year, and in some cases it has caused death. By understanding how mold forms, how it can be prevented, and what kind of impact it has on homes and businesses, you can help protect yourself from this spotty little devil. You can have a home as pristine as Buckingham Palace, but if the conditions are right for mold, there is a good chance you have a mold colony breeding like unfettered bunny rabbits. Detecting mold can be as easy as identifying its “trademark of terror” black spots or it may require scheduling a free mold inspection by the pros that test the air quality and explore inside the walls, attic, floors and roof of your home. But at the end of the day, the perfect elixir to create a dirty mold cocktail calls for warm, moist and poorly insulated conditions. As soon as the spores develop they are invisible to the naked eye, but as they breed and expand, they take on the visual hallmark of black spots. If left untreated, mold can fester throughout your home and sweep through each room like it is the Roman Empire on a rampage. Mold is not simply an unsightly blemish that people should tolerate. Mold causes a plethora of illnesses, and in some cases it has caused people to die. In fact the health risks of mold are so serious that a fire station in Meridian, Mississippi was forced to shut down due to a mold problem that quickly grew out of control. Exposure to mold has been linked to causing asthma in otherwise healthy adults. It has also ushered in lung infections and respiratory problems. Some early symptoms of mold exposure include a patchy coated tongue, itchy eyes, wheezing, headaches, breathing problems, nausea and a runny nose. What are the Mold Dangers a Business Could Face? When a business has a mold problem, not only are they gambling the health of their customers and employees, they are also setting themselves up for some major financial problems. A class action lawsuit was filed against the Whirlpool Corp. by a group of consumers that purchased washing machines that “developed a smelly buildup of mold”. 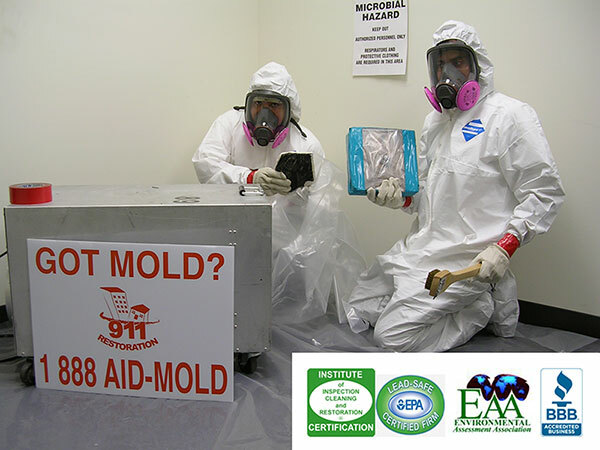 If your business manufactures products or offers services that relate to water or moisture on any level, do one of two things: (1) ensure the item or service is incapable of creating an environment ripe for mold, or (2) have a legal waiver informing clients it is their responsibility to perform the right maintenance to prevent mold or flooding. How can I Prevent Mold from Growing? If your home is free from moisture, your chances of getting mold are drastically reduced. Mold is never a fun guy to have around; it is a deadly fungi that can devastate families. Leaking pipes and poor insulation are two of the most leading causes of black mold in the home. Therefore by taking advice from the pros and having your home inspected, you can help protect your loved ones so the joy and cheer will continue to pour in year after year.